Is your marketing strategy aligned with the federal buying process? 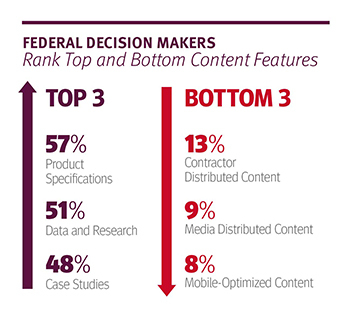 Market Connections and Merritt Group polled federal decision makers and B2G marketers to uncover which content, formats and channels are considered most useful and informative during the federal procurement process to create a Federal Content Marketing Review PulsePoll™. Download results, infographics and eBook to learn about the most effective methods of getting your marketing messages in front of federal decision-makers. Fill out the form below to download the presentation, infographics, ebook, and video.